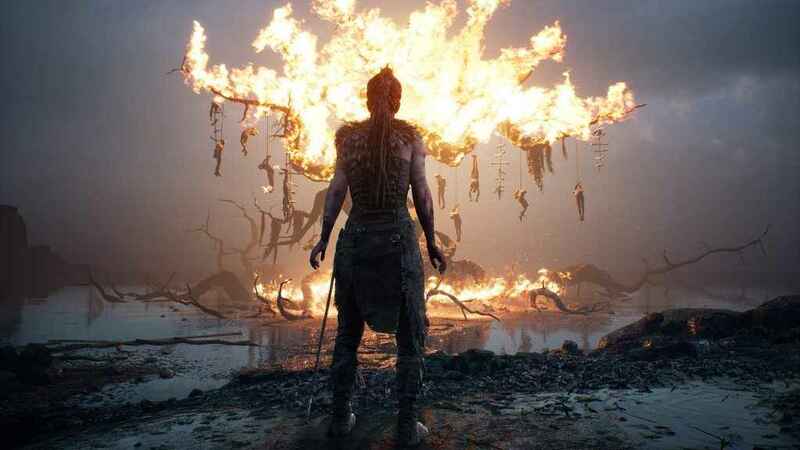 Ninja Theory revealed in a press release that Hellblade: Senua’s Sacrifice will be getting a retail release later this year, with 505 Games publishing. The physical release will be available in retail stores worldwide on December 4, 2018, for PlayStation 4. This version will cost 29.99 USD. Here’s the stunning Hellblade: Senua’s Sacrifice launch trailer. If you’ve got a PS4 Pro, it looks and plays really nice! The Hellblade PS4 Pro version offers players the options to choose between enhanced resolution or 60fps frame rate. Hellblade’s story is based on Celtic mythology, and follows the exploits of Senua as she ventures into a hellish underworld concocted from the psychotic manifestations of her own reality and mind. Ninja Theory has described the game as an ‘independent AAA game’ in the sense that it is being developed and published independently, but still maintains the quality and production values of other major video game releases on the market. This game sounds like dirt though, recorded only in stereo. If you have a 5.1 system and expected an immersive soundscape, prepare to be highly disappointed with a game that actually recommends wearing headphones instead. That’s kind of a disappointment. My daughter has seizures so I can’t use headphones. I have to keep a ear for her. Oh well stereo it is. Something told me to wait. some people like it; the game play is just okay for me, the sound was not great, but I have a big 5.1 system I expect more from.